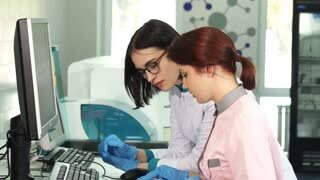 Search Results for "computer together"
Sliding shot of a young attractive female scientist talking to her assistant using computer together. 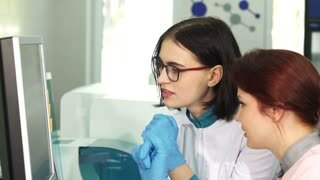 Two women laboratory workers discussing scientific research. Development, profession. Couple on couch together with computer. Group of Little Asian child playing together with a computer tablet .